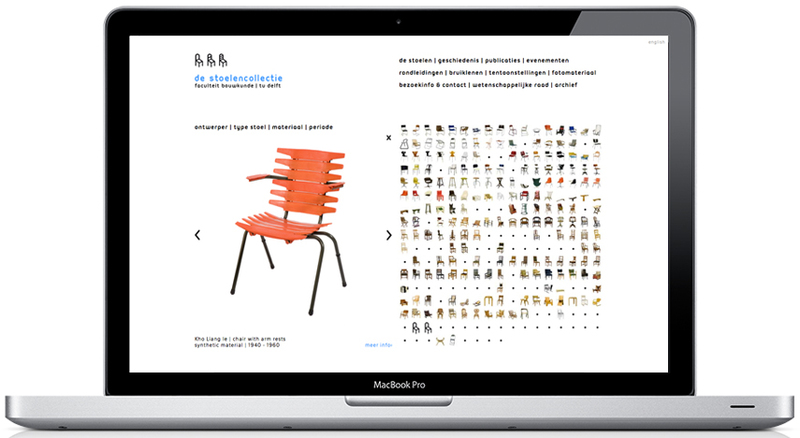 The Technical University of Delft owns more than 300 chairs that are exhibited at the faculty. 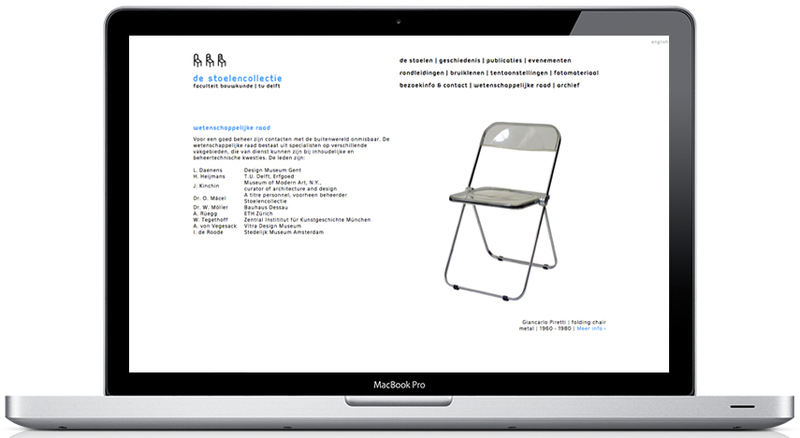 To create more awareness for this special collection I designed an identity based on the simpelest depiction of a chair. 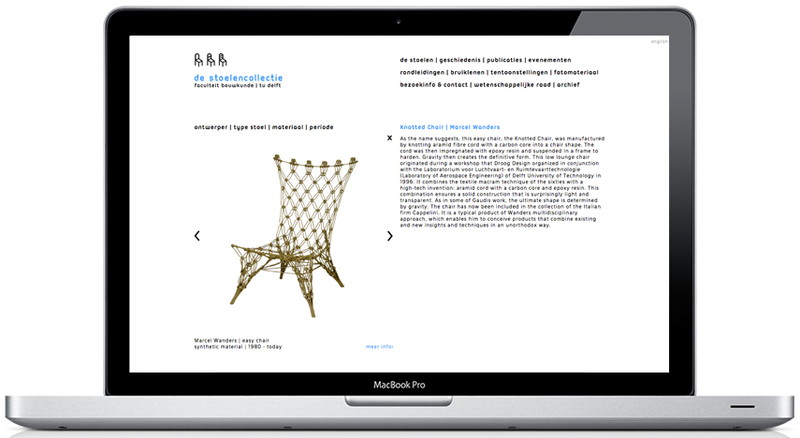 The website offers a nice way to browse through the collection and learn more about each item.